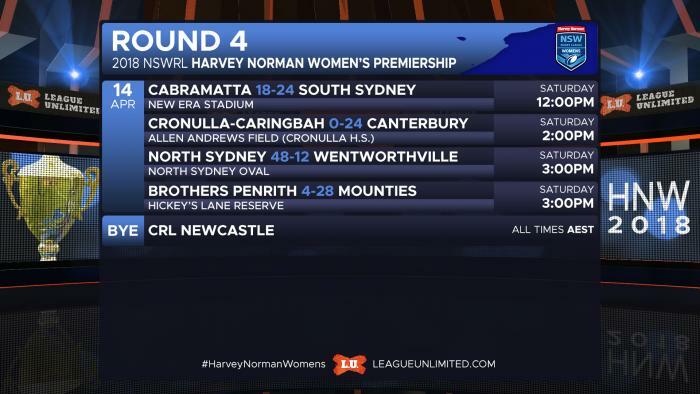 All the results and scorers from the fourth round of the NSWRL Harvey Norman Women's Premiership. RELATED: See the full list of 2018 Harvey Norman NSWRL Women's Premiership Draw and Results. Newcastle CRL had a bye this round. RELATED: Click here to view the current Harvey Norman NSWRL Women's Premiership ladder.